My Thoughts: Did you just read that synopsis? No for real, This sounds amazing! I am a bit biased, I did live in Japan and after marathon watching 8 seasons of Dexter I kind of love that show. This novel really is two of my favorite things coming together and I seriously can't wait for August! Omg *_* This book sounds SO good!! I'd seen the cover around, but never actually read the blurb. Definitely adding to my TBR list. Thanks for putting it on my radar! This is the second Horror book I have seen TODAY! AHH, this sounds SO GOOD. Thanks for sharing! Oooh this premise is so interesting. 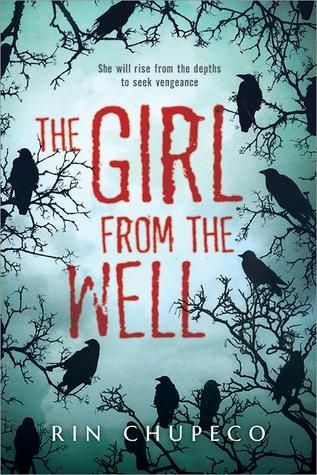 I'm so impressed with the books that Sourcebooks have been publishing lately, The Girl from the Well, looks like it's not going to disappoint either. Ooooo, this sounds really good and creepy! Great pick! My WoW. This looks and sounds creepy! Awesome! Hope you can stop by mine. WHOA!!! This sounds AMAZING!!! I'm in!!! Thanks for sharing since I haven't heard of it yet. It's going right on my TBR. Happy reading. Everytime I see the name of this book, I always think of the movie 'The Ring'. This one sounds scary..I hope you like it when you read it. Here is my my WoW. Whoa -- I just got goosebumps! Dexter is too gory for me, so I think I will wait and see what you think of this and decide if I'm brave enough!